This is Page 1 of 2 - the best of May 2018! 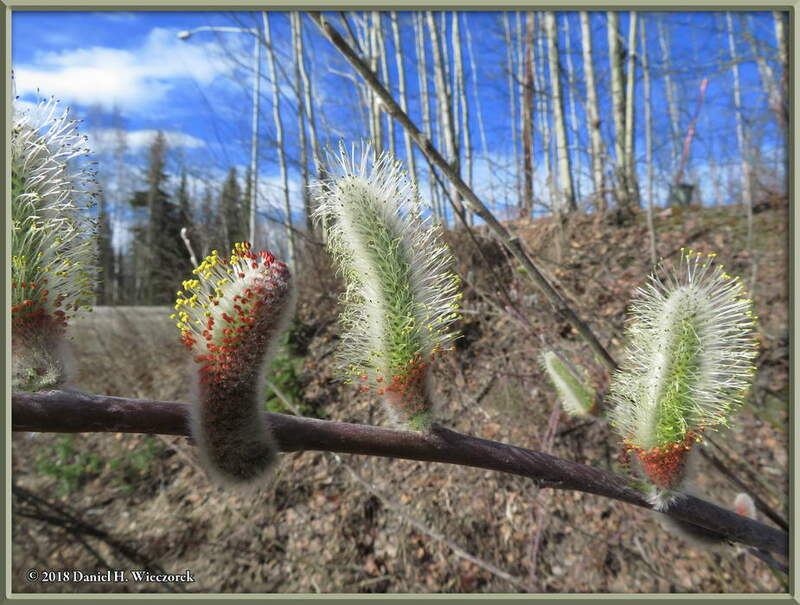 This page begins with the cover of our newest book, "Wildflowers of Interior Alaska", which went on sale as paperback, hardcover and Kindle editions on May 14th. 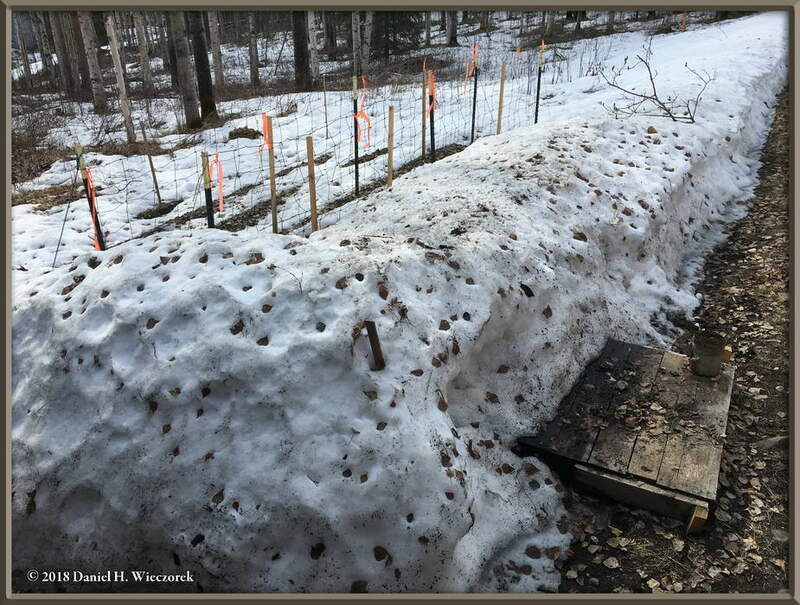 Then there is a single panoramic photo from April 30th showing how much snow was left on that date. After that are a few more melting snow photos and then some Sandhill Cranes in flight, a Robin sitting in a tree and then some Sandhill Cranes at Creamer's Field. After that is a shot of a partial "sunbow" (what causes them?) 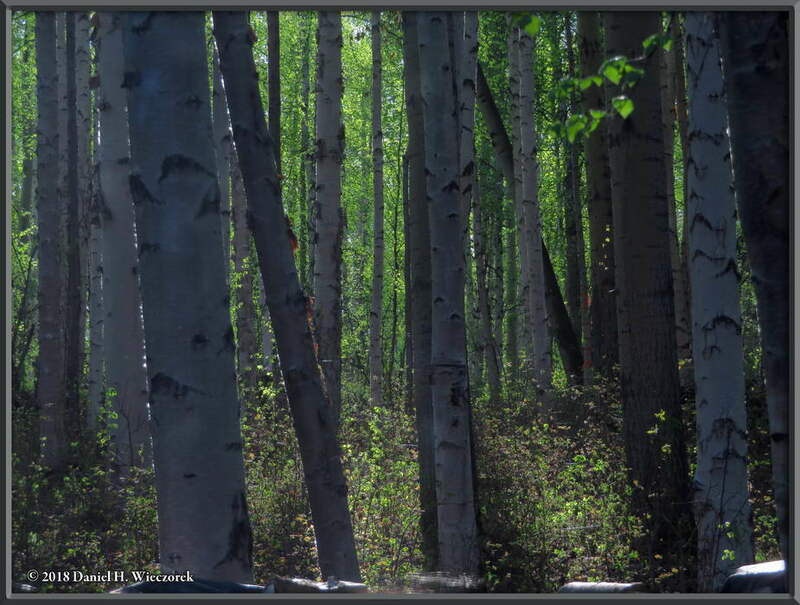 and a shot of greenup in our west yard. After that are several shots which were taken as we drove from Fairbanks to Anchorage for a business trip. Click on any thumbnail to begin. 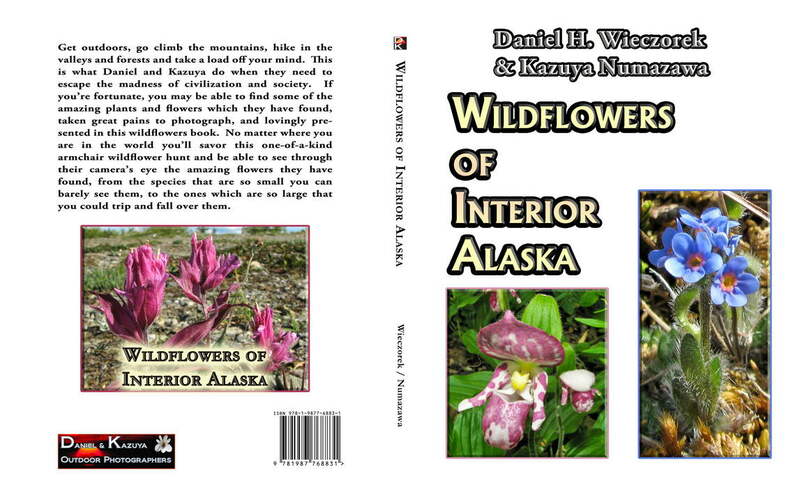 After working for around half of the winter, this newest book Wildflowers of interior Alaska is finally completed and for sale. HERE is a link to the details page for this book. It is available as hardcover, paperback and Kindle [Print Replica] editions. 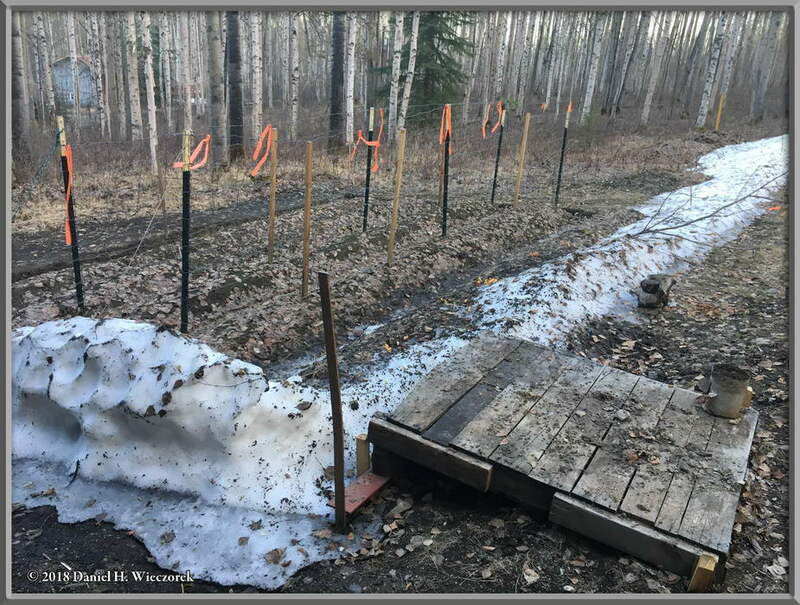 Here is a 3-shot panoramic image which shows the state of snow in our yard on April 30th, and then a shot from the porch on May 7th at 9:00 AM. 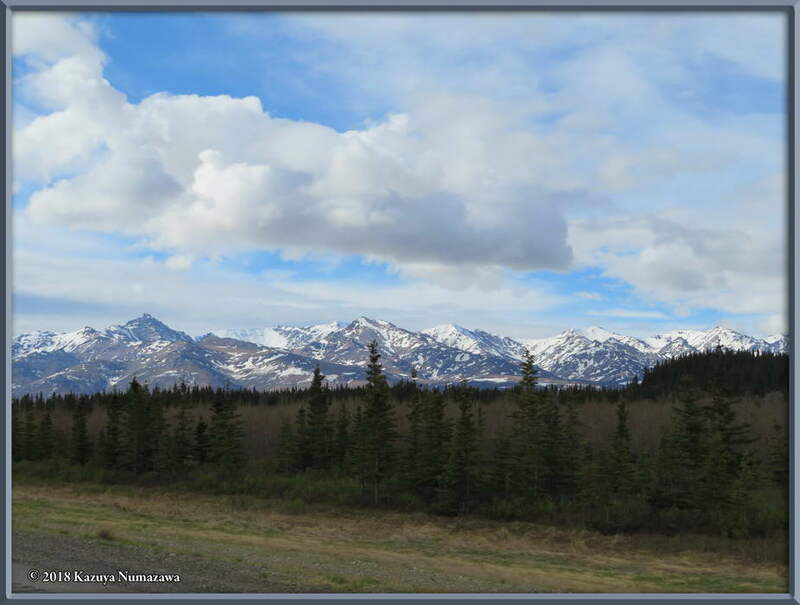 Now, here's from about the same spot on our porch on May 9th at 7:38 PM and then a shot taken on May 11th at 8:28 PM. 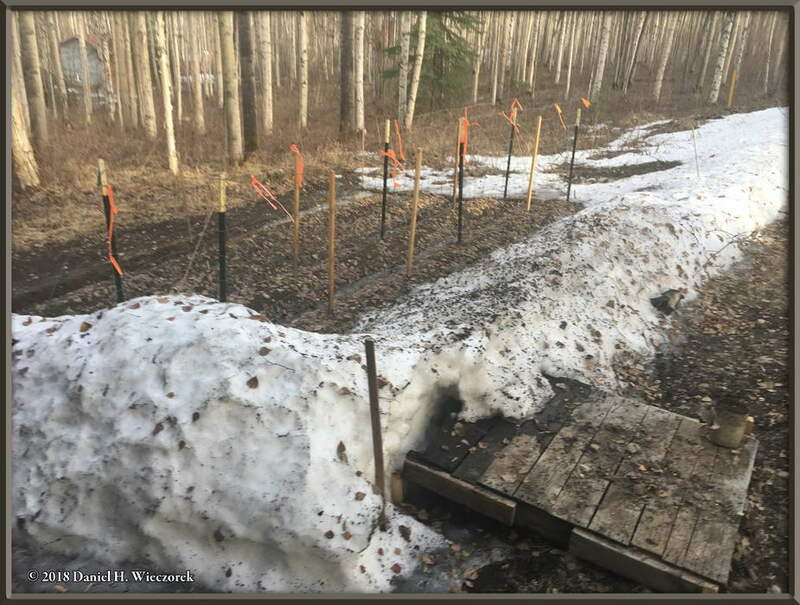 When the snow finally starts to disappear, it happens quickly. 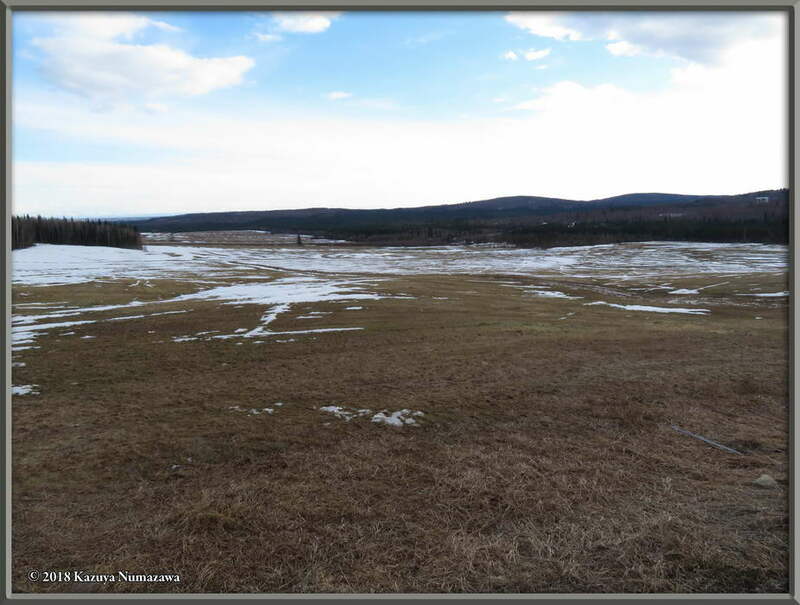 In first position in this row is a shot of Gettinger's Field (from the north), close to our house, on May 5th. 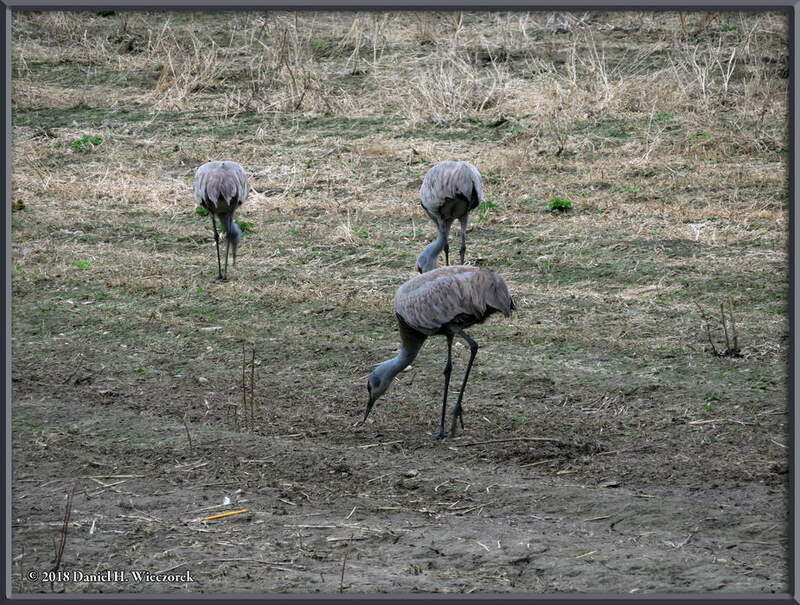 The second and third shots were taken on May 10th, just a short distance down the road from our house. Spring is here!! 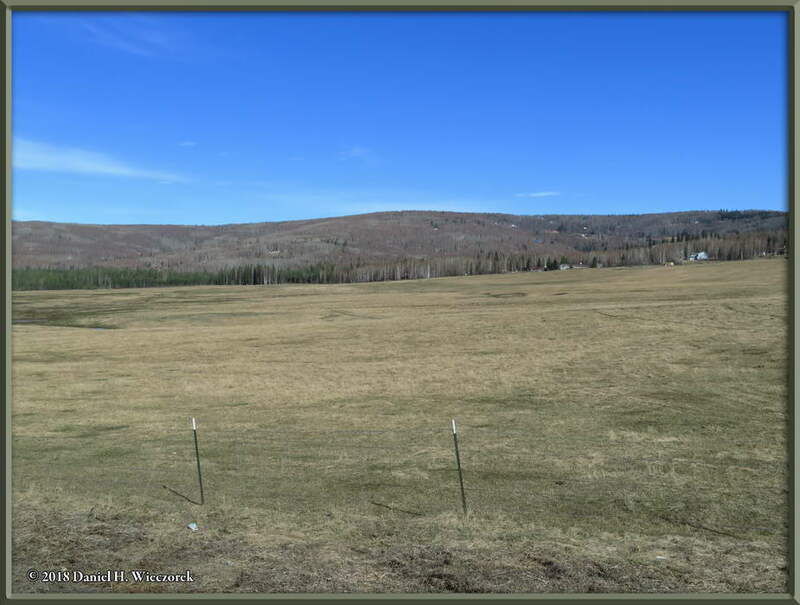 Here is a shot of Gettinger's Field, from the opposite (south) side of it from Row 4 on May 10th. 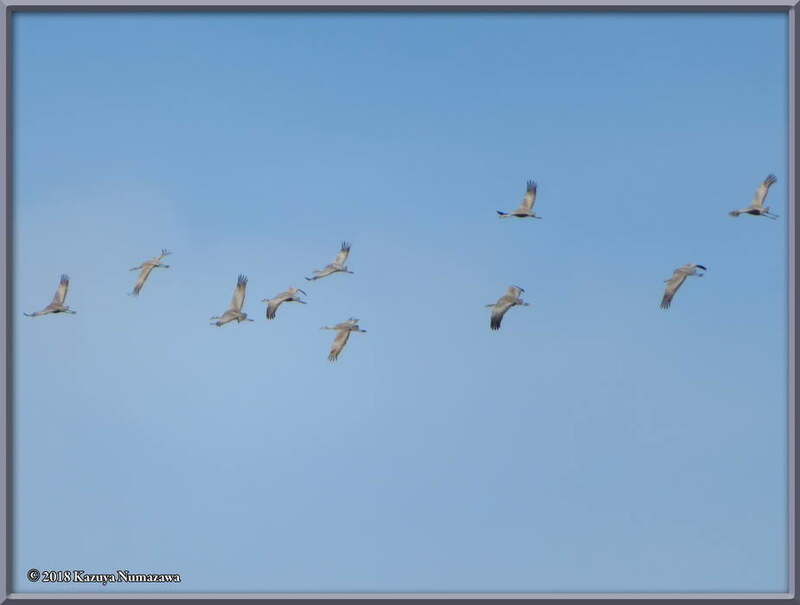 The second shot is a great one of some Sandhill Cranes (Grus canadensis) in flight over our heads. 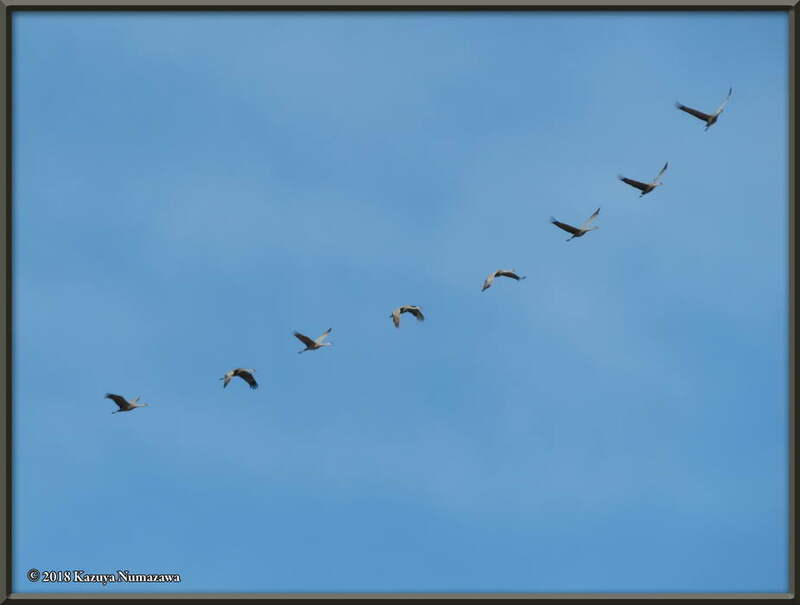 In first position is more Sandhill Cranes (Grus canadensis) in flight over our heads. 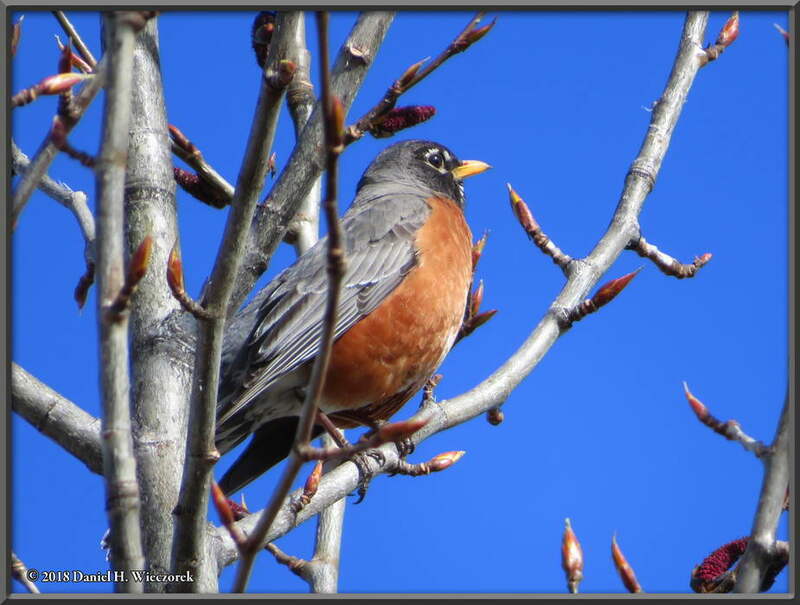 In second position is an American Robin (Turdus migratorius) - this was the day the robins returned to our area. 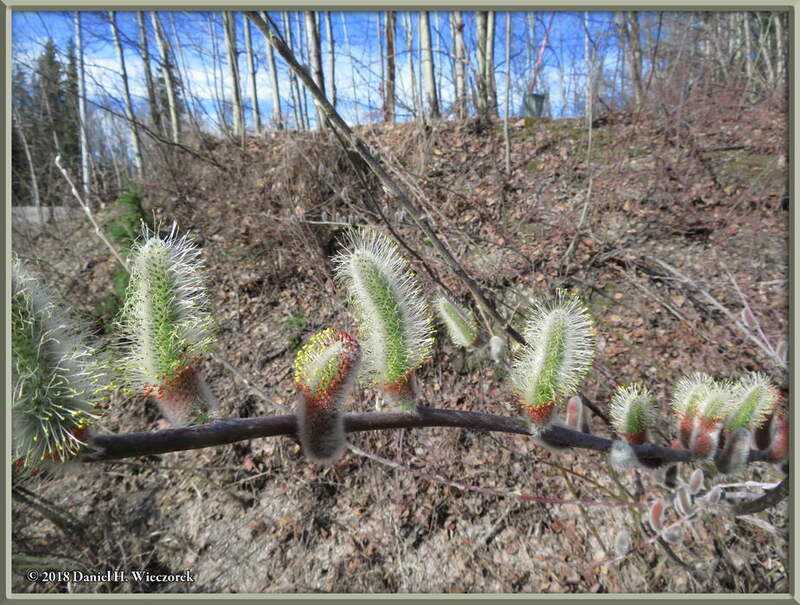 Spring is definitely here. On May 11th we stopped by Creamer's Field once again. 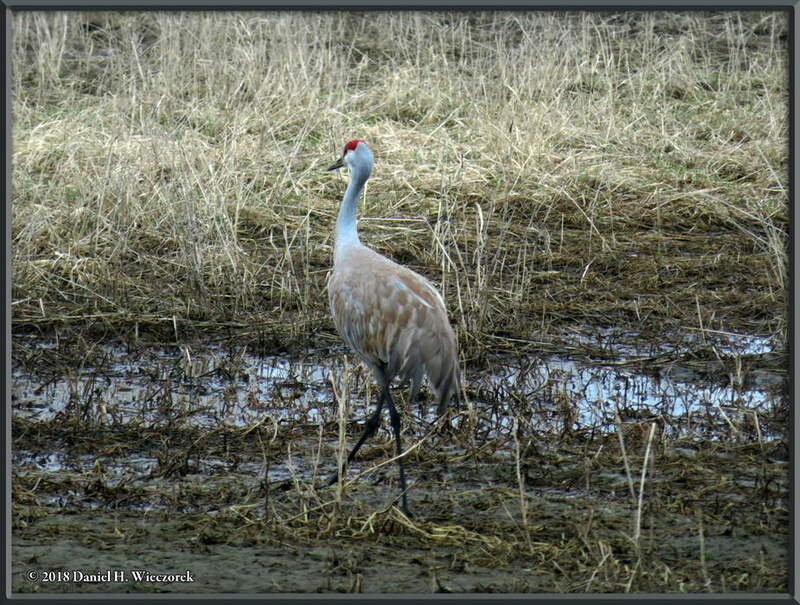 Today the only thing we photographed were Sandhill Cranes (Grus canadensis). 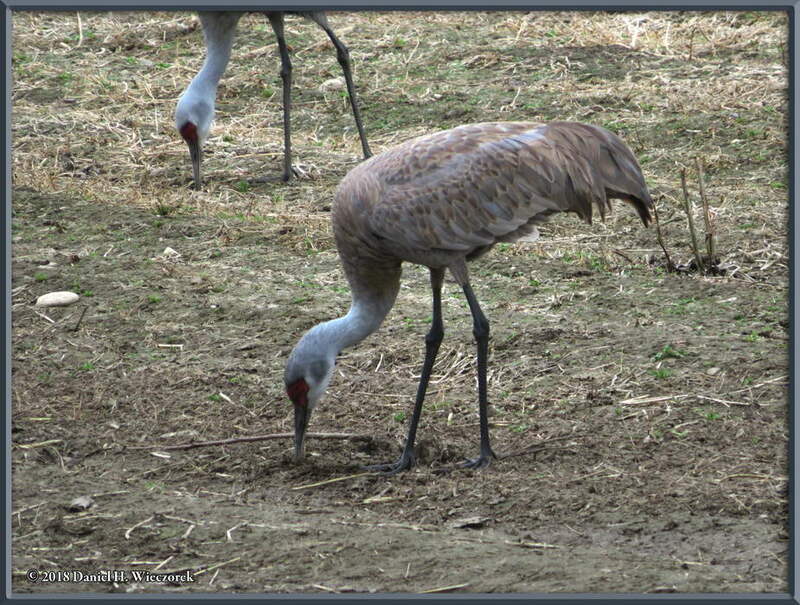 Here are two additional shots of Sandhill Cranes (Grus canadensis). 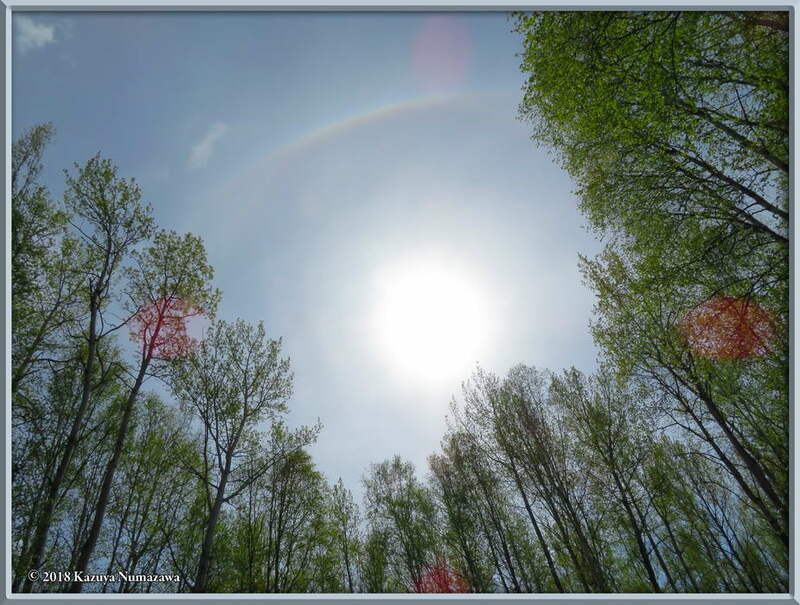 Now it's May 20th and Kazuya noticed this partial "Sunbow" and got some nice shots of it. 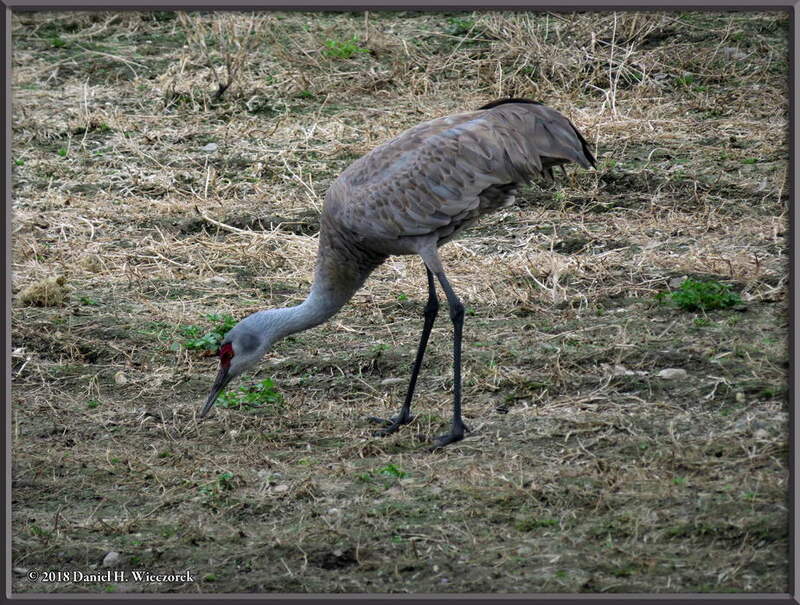 The second shot shows greenup in progress in our west yard on May 21st. 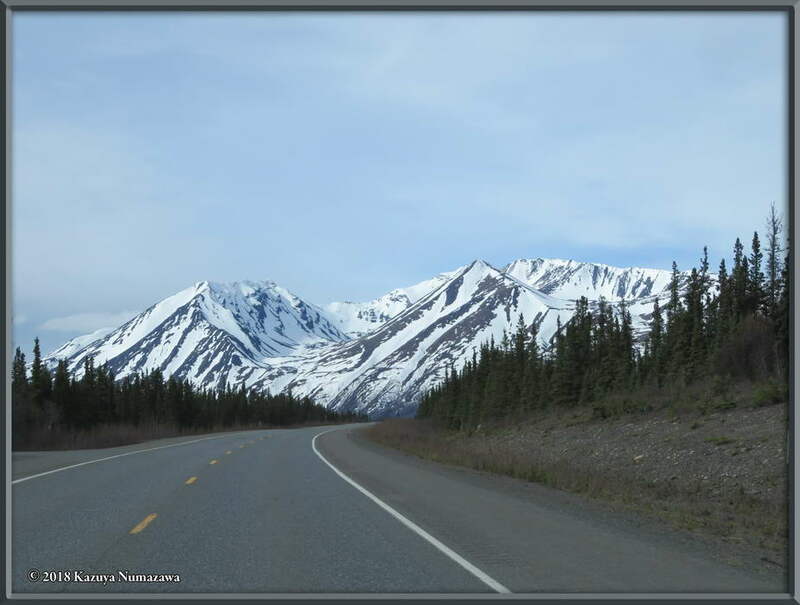 We had to make a trip to Anchorage for some personal business. 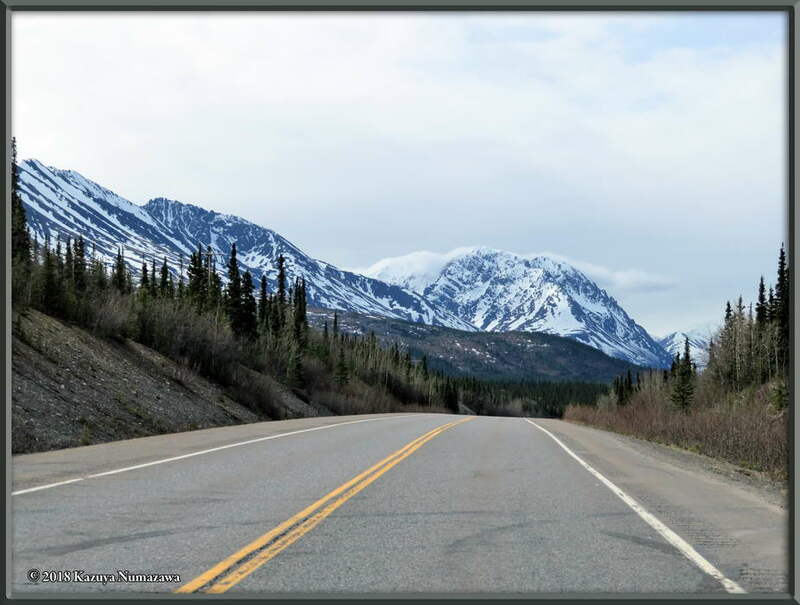 Our appointment was for May 24th at 8:00 AM, so we decided to drive down on the 23rd and stay in a hotel for the night and then drive back on the 24th - might as well make an adventure of it. 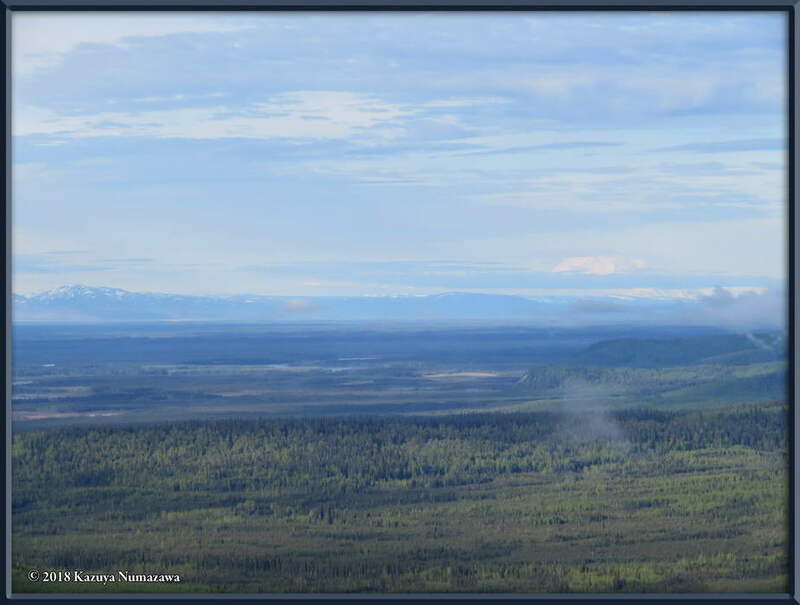 The first shot shows Denali (20,310 ft = 6,190.5 m) from the Parks Highway Overlook, just a few miles south of Fairbanks. 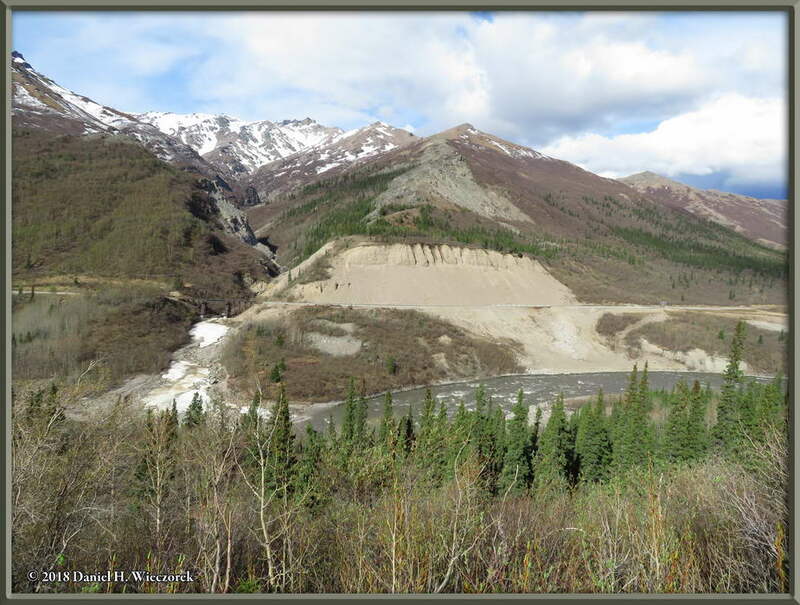 The second shot shows the Alaska Range and the third shot also shows the Alaska Range, looking across the Nenana River at a railroad crossing of a canyon. Here is another shot of that same railroad crossing shown just previously to this shot. 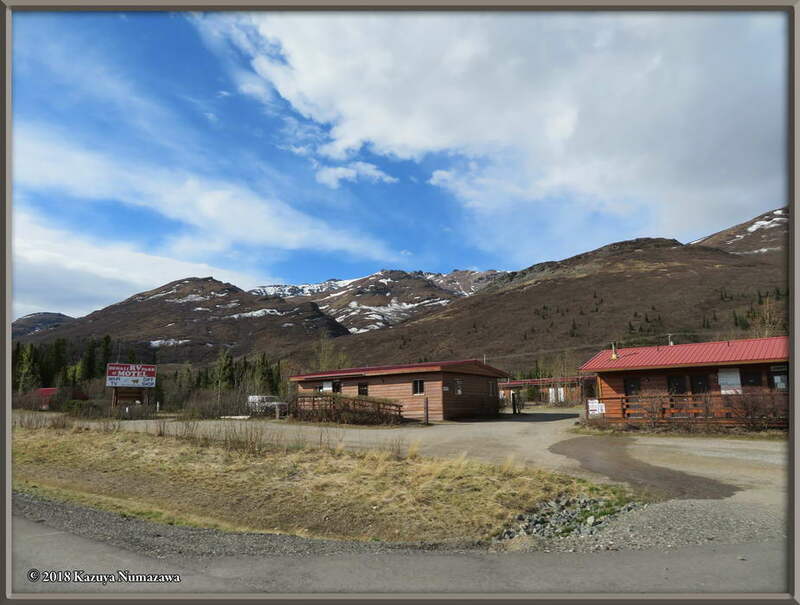 That is followed by another shot of the Alaska Range and then a shot of a rustic little Motel/RV Park a bit north of Healy, Alaska. 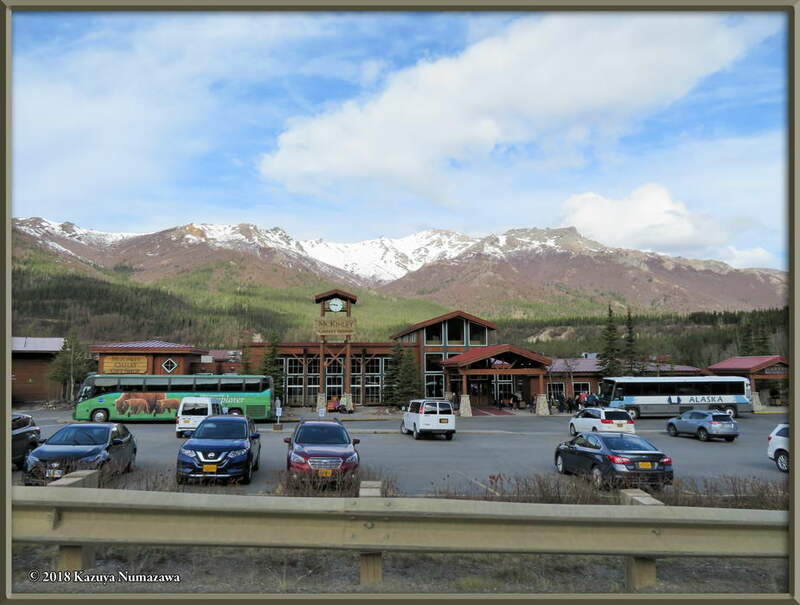 Here is a shot of a tourist trap as one enters Healy, Alaska from the north. 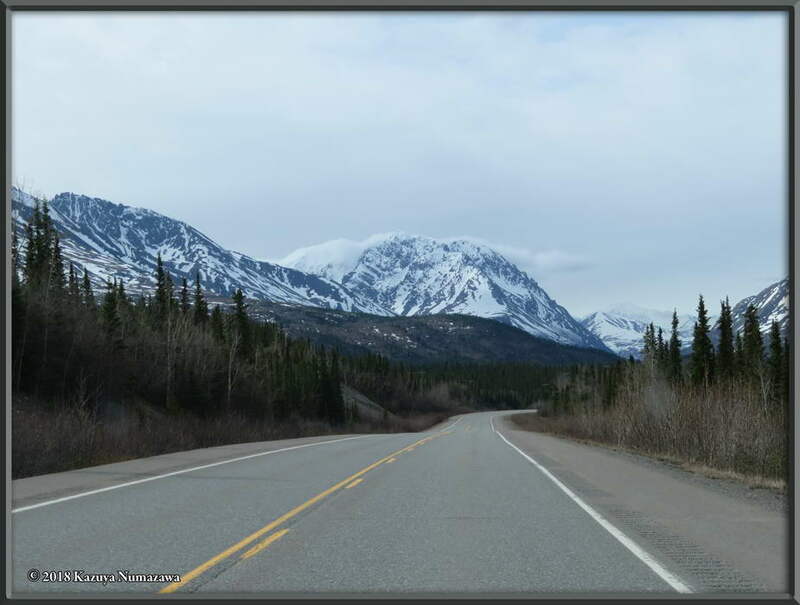 This was a shock to me - the last time I drove through Healy there was nothing here. 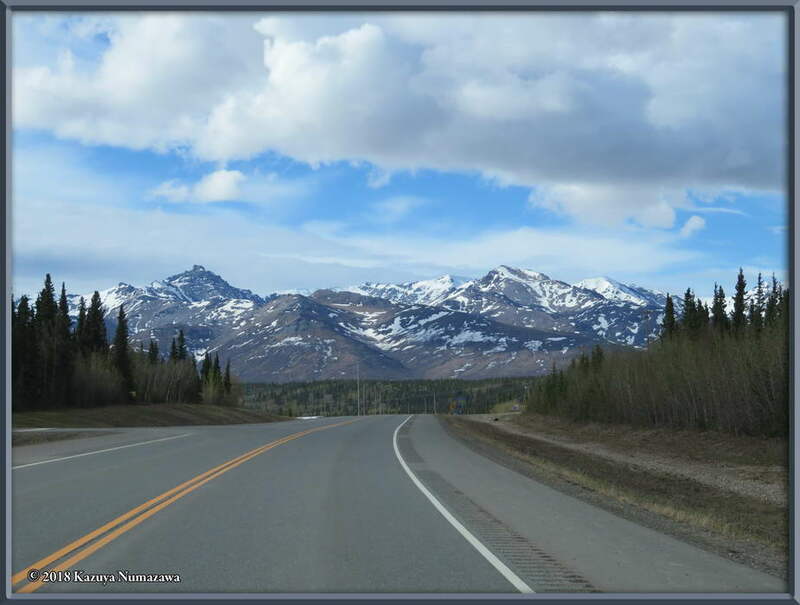 The second shot shows another scene in the Alaska Range. 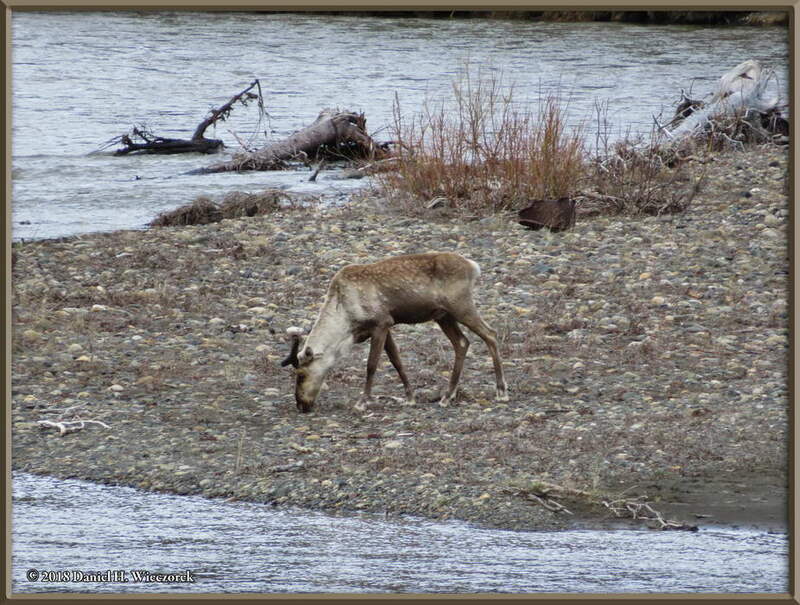 The third shot is a lone Caribou (Rangifer tarandus) beside a river. 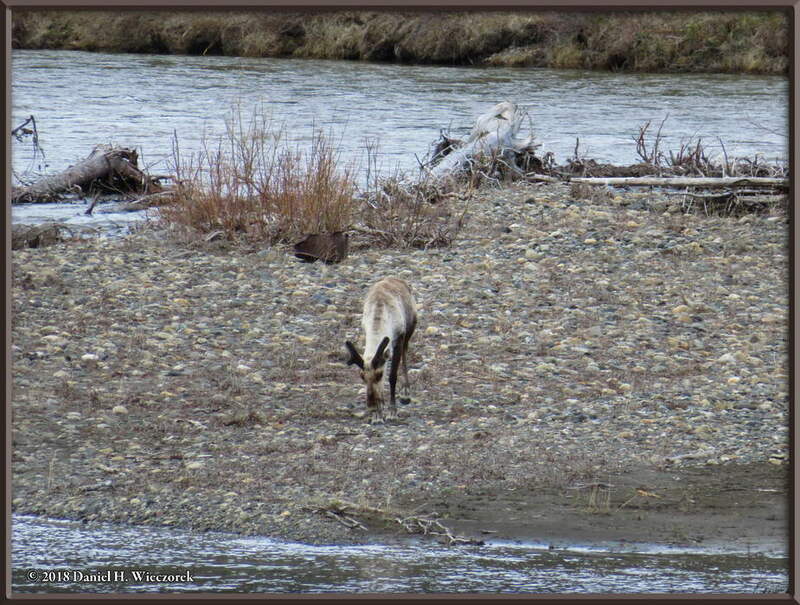 Here is another shot of that lone Caribou (Rangifer tarandus) beside a river and then another shot of the Alaska Range. 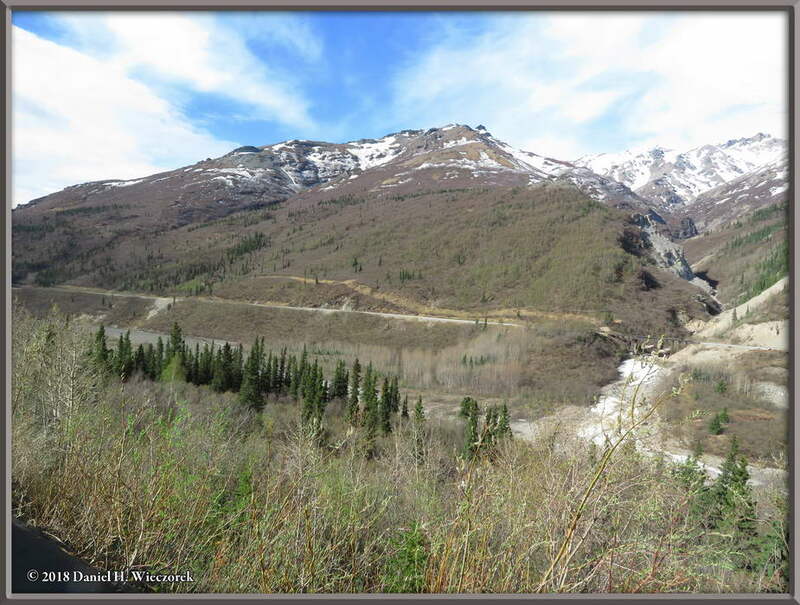 Here are two final shots from May 23rd. 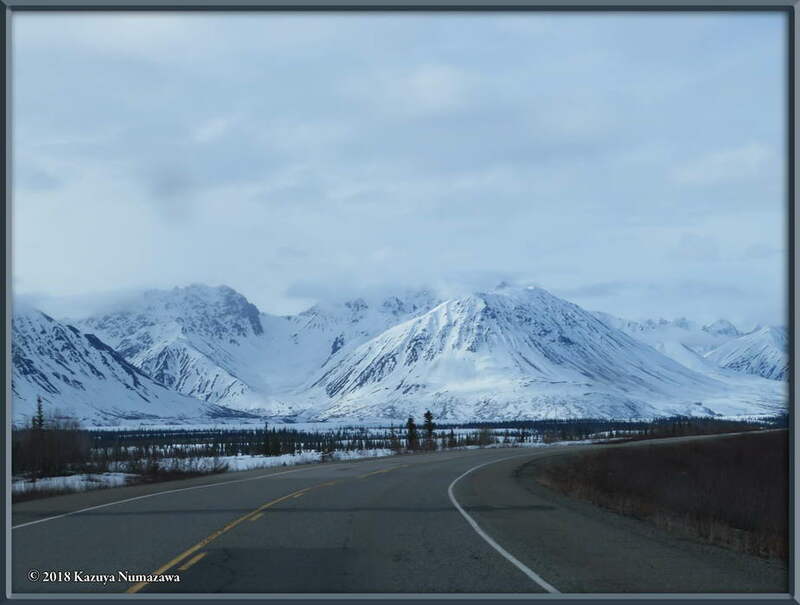 I am not sure if this is still in the Alaska Range, or if we are now close enough to Anchorage so that these are the Chugach Mountains.